Remember a couple of weeks ago when we shared our Owl S’mores on a Stick that we made for Callye of Sweet Sugar Belle? 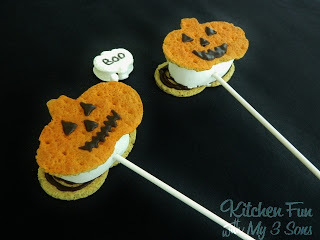 Well…we also made these fun Pumpkin S’mores on a Stick just about the same way. My boys LOVE s’more pops and we have made a ton of them! 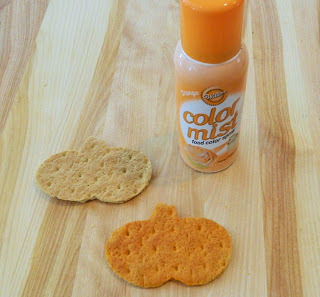 Our assignment from Callye was to make anything we wanted using a pumpkin cookie cutter. You can see all of the 20+ fantastic ideas here. 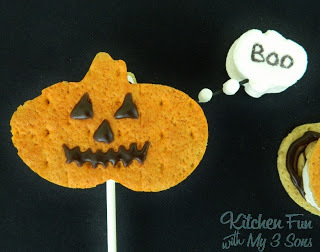 We used a large and small pumpkin cookie cutter to make these as well. We also used marshmallows from a giant box we received from Jet-Puffed Marshmallows! We started out by cutting out our pumpkin shape from the graham crackers using a regular sized pumpkin cookie cutter. We sprayed the front sides of the orange with our edible spray…. We took a jumbo marshmallow and cut it in half (this will make 2). We then cut a slit on a jumbo marshmallow half up to the middle. We stuffed a large marshmallow in the slit. 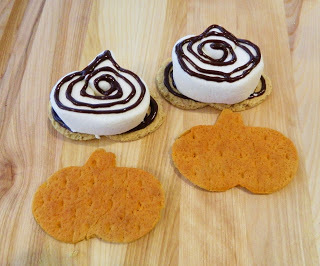 We squeezed chocolate cookie frosting on the inside of the graham cracker pumpkin. We topped with the marshmallows. We squeezed more frosting on top and then placed the other pumpkin graham on top…let set. 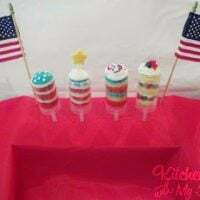 After they are set poke the lollipop sticks through the bottom. Decorate the faces with the chocolate cookie frosting. We colored a toothpick on one of the with black edible marker. We cut out a small pumpkin shape in a stacker marshmallow with the small pumpkin cookie cutter. We made this into a thought bubble. 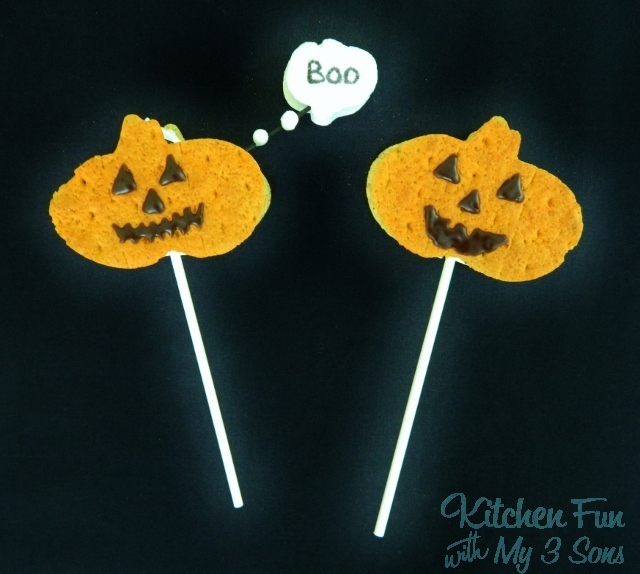 We wrote BOO on the small pumpkin marshmallow and poked it through the toothpick (upside down). We cut a mini marshmallow in half and attached them on the tooth pick with frosting. 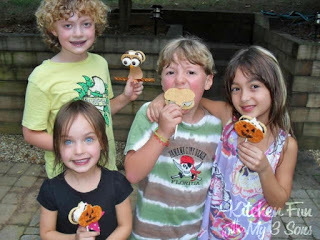 My older boys and little girl friends LOVED their Pumpkin S’mores on a Stick & Owl S’mores on a Stick! 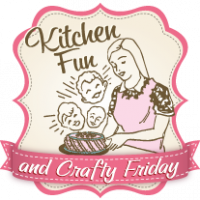 Next Post » Kitchen Fun and Crafty Friday link party #34 AND Giveaway! Jill…This is about the cutest thing ever!! My grandkids will LOVE making these. Your blog and ideas are always so much fun!! N.
How much fun! My kids will adore this one! We don't have smores in england, and tbh I don't really get them./ are they like marshmallow sandwiches?? these do look super cute though my daughter would love them. I had no idea color mist even existed!!! These are such a clever twist on a classic treat! Love it! 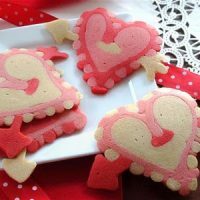 I featured them today on TGIF – http://livinglifeintentionally.blogspot.com/2012/10/tgif-linky-party-51.html! I'd love for you to come link up again this week.